Tensions are rising within the Zionist Union, as polls show the party continuing to hemorrhage support. 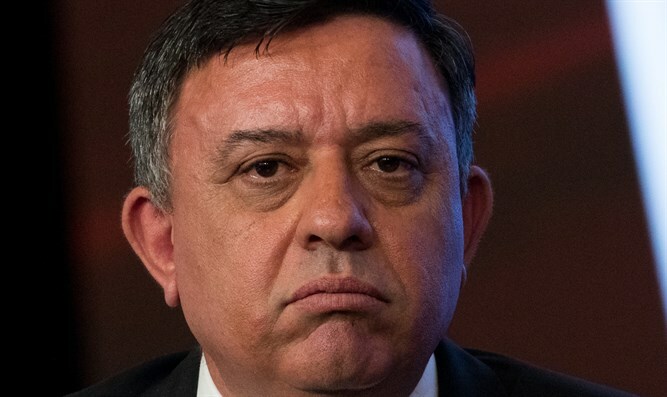 Senior officials within the Labor faction of the Zionist union described the deterioration of support for party chairman Avi Gabbay, who critics say is working to fundamentally alter the Labor party. The Zionist Union managed to win 24 seats three years ago, coming in second to the Likud’s 30 mandates. Since then, however, the party has lost ground in nearly every poll. In polls taken between last October and November, the Zionist Union averaged 19 seats. By February, however, that average had fallen to 15, and since July, the Zionist Union has averaged just 12 seats – half of the 24 it won in 2015. The latest Knesset poll shows the party winning just 11 mandates. The Zionist Union’s decline in the polls has left Avi Gabbay, a former Environmental Protection Minister for the Kulanu party in Netanyahu’s cabinet, facing growing criticism within his own party. According to a report Friday morning by Ma’ariv, party members have accused Gabbay of stifling dissent, with some even arguing that Gabbay has intentionally weakened Labor in an effort to dominate a smaller faction after the next election cycle, and bring the party into Prime Minister Netanyahu’s next coalition government. Another Labor MK and critic of Gabbay argued that the party chief appeared to be intentionally shrinking the faction, hoping to dominate a smaller faction after the next election cycle. “To some extent, for the process Gabbay is pursuing, it would actually be good for him to have the party plunge in the polls. If the party has just 10 mandates, Gabbay and [Hatnua faction chief Tzipi] Livni, with the agreement they have between themselves,” can dominate the list, “with two of the [MKs] chosen by Gabbay, he’ll have nearly 50% of the list” under his control.